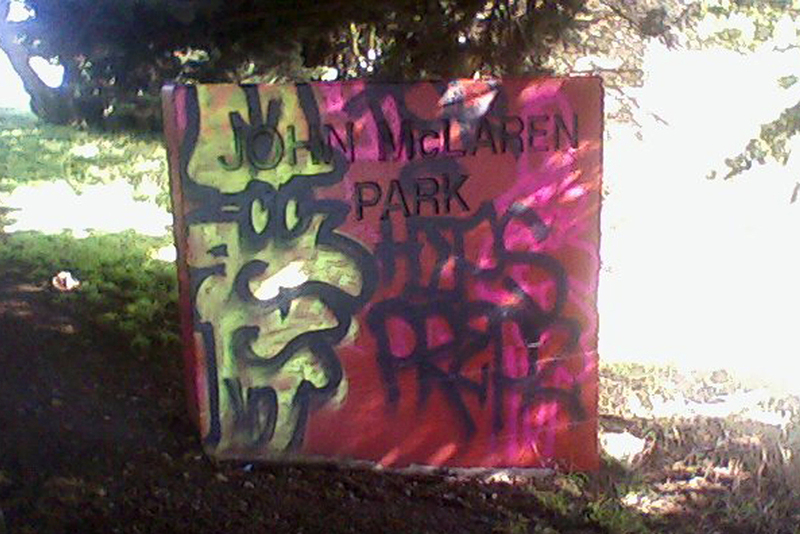 While living in the Excelsior District of San Francisco in 2013, I enjoyed walking in John McLaren park. Sharing space with several schools, I noticed that the park was not only subject to frequent graffiti attacks but that it was part of a cycle that kept repeating: the kids would tag public fixtures and the parks department would paint them gray again, over and over and over. 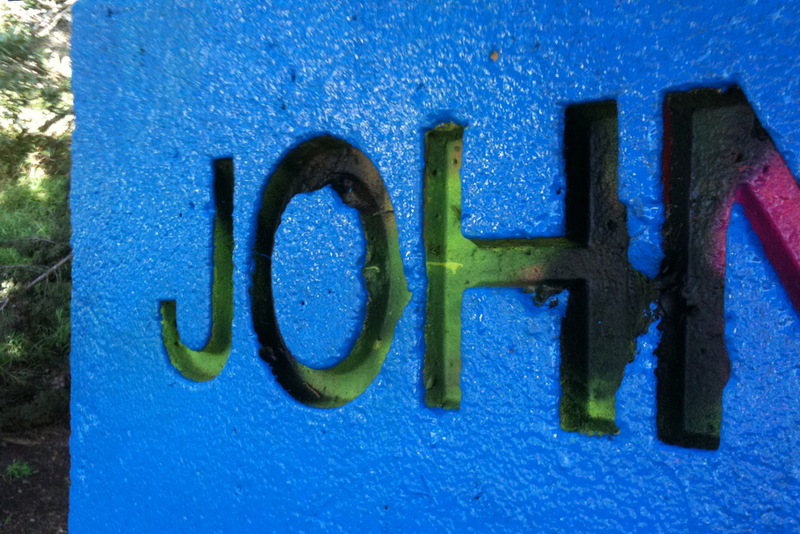 I decided to intervene by painting fixtures bright colors over a series of months and a funny thing happened: the graffiti stopped and consequently so did the calls to the parks department. For a while the park was just pretty colorful, some of the school kids presumably understood the rules of the game and began repainting things in bold colors as well. Eventually the word got out and the parks department got wind of what was going on…and were not pleased. Eventually everything was repainted back to the original neutral colors.